Tasmania is arguably the most beautiful of all Australia's states with its spectacular, untouched, old-growth forests, historical towns and scenic coastline. If you are looking for a fun, action-packed holiday, you can't ignore the sensational east coast of Tasmania. As the smallest state, it is jam-packed with physical beauty and historical features, making it the perfect destination for visitors. There are plenty of reasons to visit and many fabulous things to do if you are planning to explore the east coast, but VroomVroomVroomVroom has narrowed it down to just seven. Read the list below! Visitors to Tassie must see the famed Freycinet Coast and Wineglass Bay. With adventure sports, fresh seafood and breathtaking scenery it's the perfect destination for families, older travellers or adventurers. The two and half hour drive north-east from Hobart (or just two hours from Launceston) snakes its way along the gorgeous, emerald Prosser River, through sleepy mountain ranges and along some of the most breath-taking coastline in the country. If you have some time to spare, experience one of Australia's most dramatic road trips on the Great Eastern Drive. 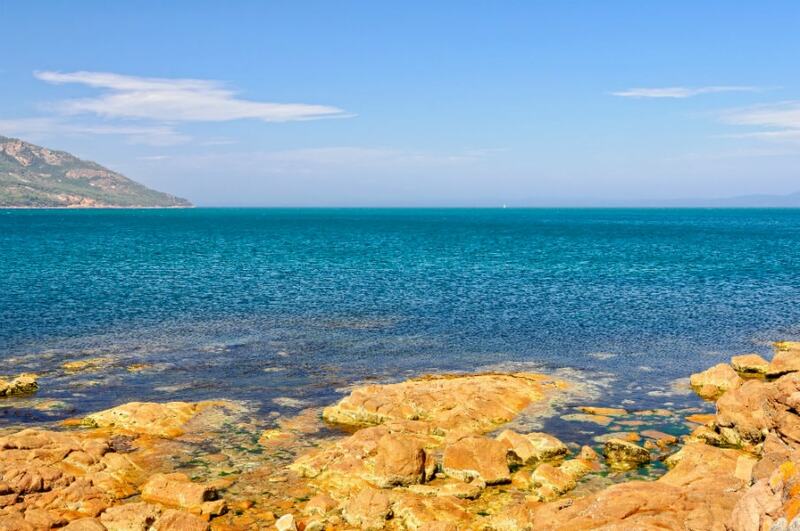 Situated north of the Freycinet Peninsula, the town of Bicheno sits on the stunning east coast of Tasmania. Travel time from Hobart to Bicheno via Tasman Hwy/A3 takes about 2 hours and 30 minutes. Foodies will love the local seafood including crayfish and abalone. Adventure tourists will enjoy snorkeling, hiking, scuba diving and kayaking. Diamond Island Resort in Bicheno runs a penguin parade for free. The Blue Edge Bakery located at 55 Burgess Street is a great place to relax and enjoy good coffee. If blowholes excite you, for sure you'll like the Bicheno blowhole. There's plenty to do for families too, such as Tassie devil spotting and plenty of family-friendly walks in the nearby Douglas-Apsley National Park. 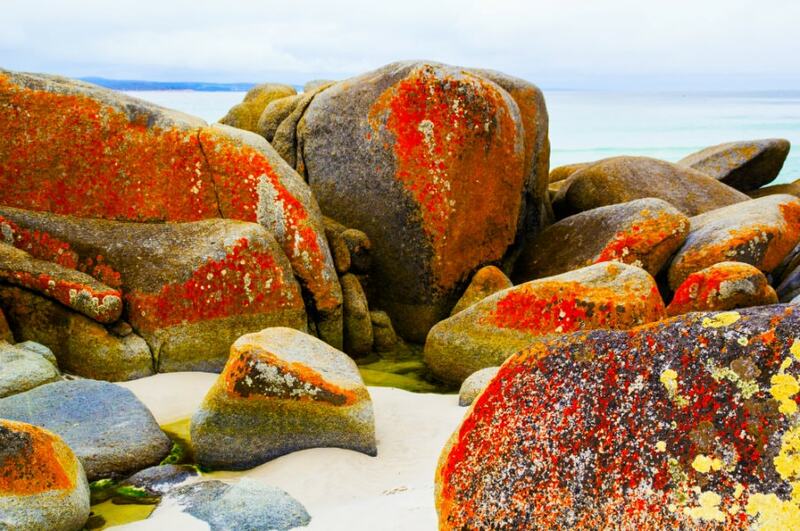 Widely recognised as one of the most beautiful places in Australia, a visit to the Bay of Fires is a must. Located on Tasmania's East Coast, the bay stretches more than 50 kilometres from Eddystone Point in the north to Binalong Bay in the south. Here, you'll see some of the white beaches and aqua waters with magnificent rock formations (orange-hued granite). From Bicheno, the Bay of Fires is only a 45-minute drive while travel time from Hobart to the Bay of Fires takes about 4 hours via National Highway 1 and ESK Hwy/A4. 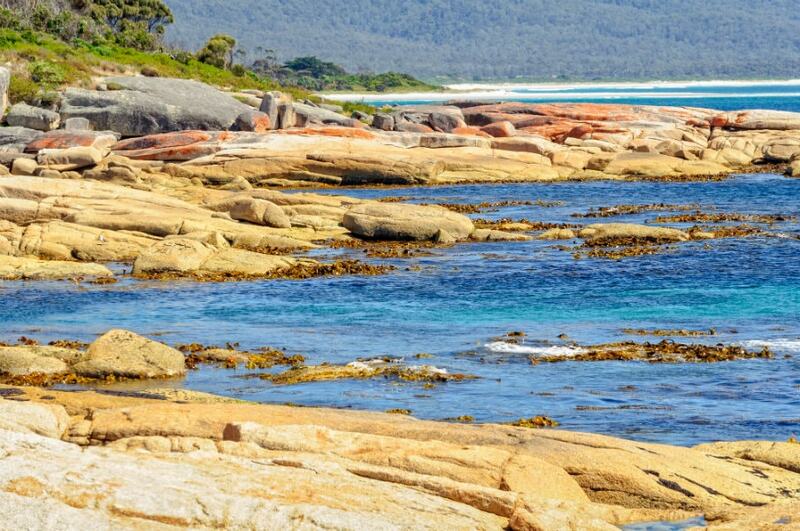 Other popular things to do in the Bay of Fires include trekking, camping, bird watching, fishing and boating. Foodies and wine lovers are in for a real treat when they visit the town of Swansea. 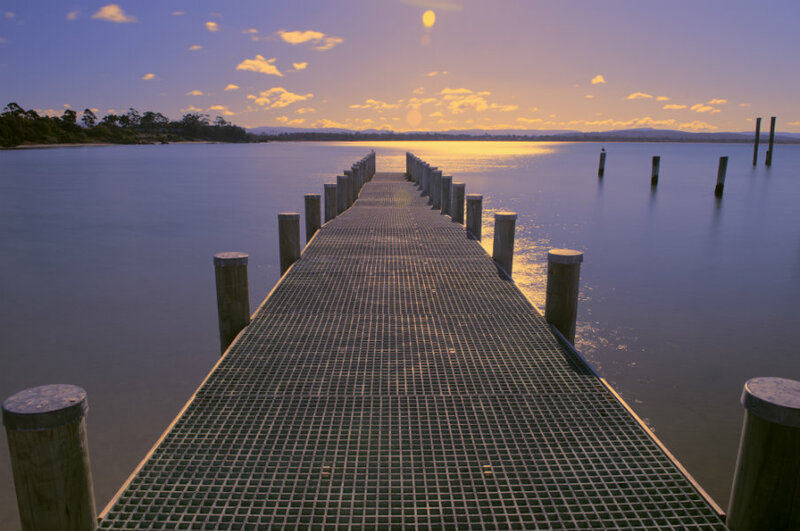 The area is famous for its seafood and for being the gateway to Tasmania's boutique wine country. Relax, sample and enjoy the charming coastal town of Swansea. 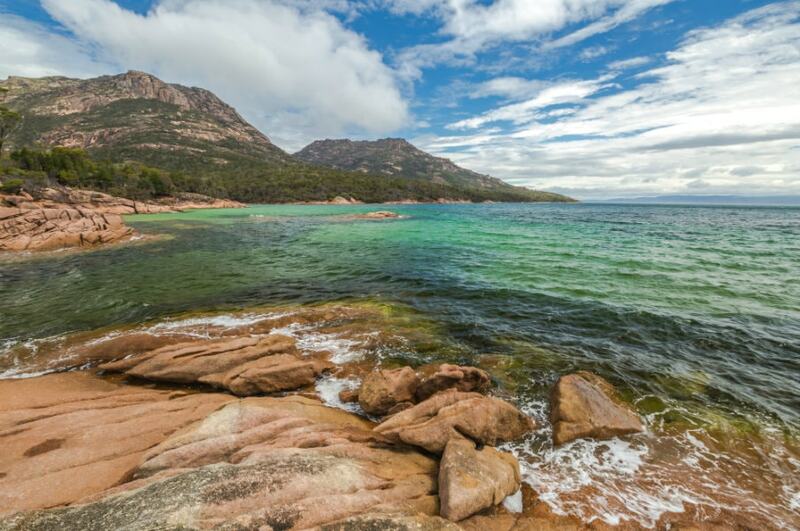 But the pinnacle of a weekend or jam-packed day trip is the spectacular Freycinet Peninsula and National Park. From Swansea, enjoy the views of Oyster Bay as you head east towards Coles Bay. You may know you're in Coles Bay when you notice the sparkling clear waters. You may notice the sandy beaches but more than likely you'll notice the rugged landscape, with its dramatic cliffs and stunning pink granite peaks. Coles Bay offers visitors the opportunity to get up close to pods of friendly dolphins on a cruise to the spectacular Wineglass Bay. 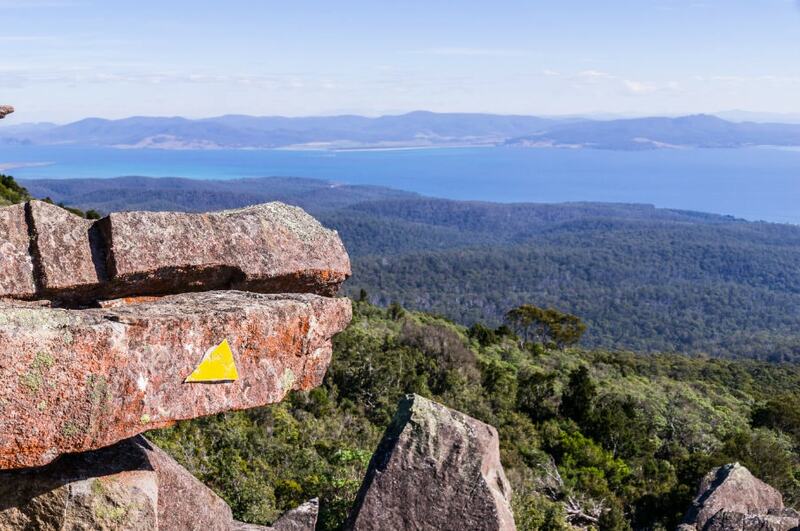 Take in all the natural beauty from numerous walking tracks and lookouts within the Freycinet National Park. Located in the Tasman Sea, take a day trip out to Maria Island for a dive on the world class reef, a walk through the UNESCO-listed historical ruins and a photo or two of the wildlife, including penguins as they huddle together on picturesque cliff tops. If it all sounds a bit too taxing, simply settle in for a nice, long day of fishing in the crystal clear waters of Prosser Bay. The town of Richmond with its 19th century stone buildings and postcard-pretty scenery is another top destinations in Tasmania. 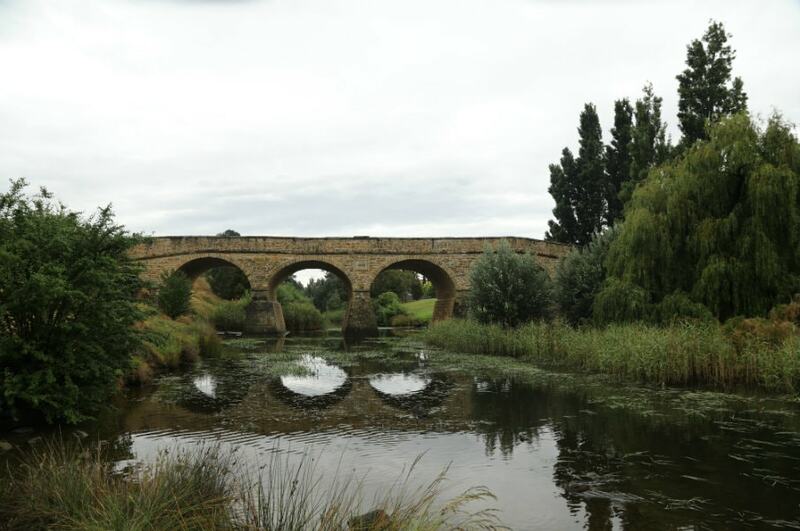 If you are the type to yearn for the good old days, Richmond Village is a wonderful place to shop, with olden style lolly shops, handmade lace and pretty linen and beautiful wooden handicrafts. For some great coffee and pies, The Richmond Bakery is one not to miss! Just a warning for visitors to Tasmania as you'll be tempted to come back over and over! There's plenty to see and do, and thanks to diligent conservation efforts, there's so much natural beauty to be enjoyed.